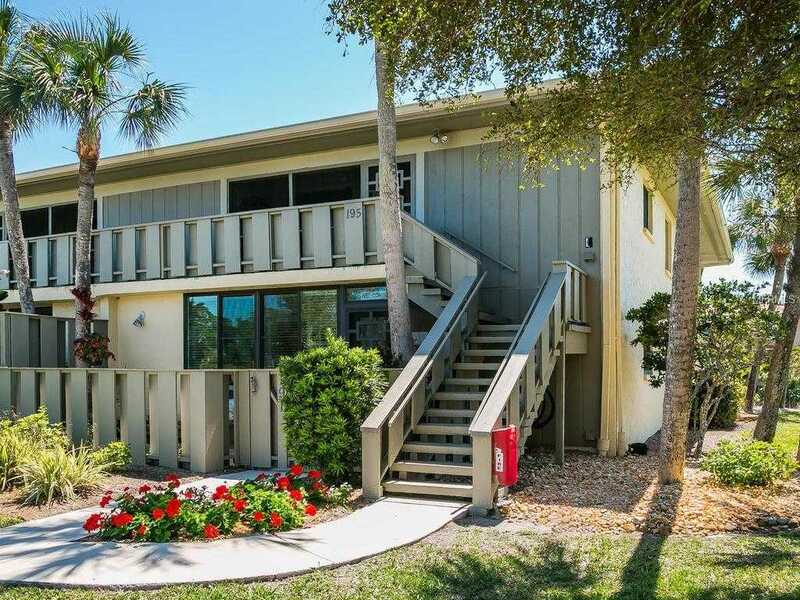 Tucked away yet close to everything Anna Maria Island has to offer, is this two bed two bath light, open, end unit condo. Views of saltwater canal and then wide out to Intracoastal from large screened lanai. Updated kitchen with new cabinets and beautiful granite plus views of the boats in the canal. Breakfast bar with storage underneath overlooks the large great room with side windows and sliders to lanai. Guest bedroom with slider to front porch, a wall of closets and a close updated guest bath. Master bedroom with bath features large walk in closet and a slider to access the back lanai. Leave your car at the door and walk over to the tranquil gated pool, with outside bath access. If you’re not tired from the beach, play a round of tennis, go bring your kayak out or play shuffleboard with new neighbors. On site management and beautiful grounds make this one of the most desired condominiums on the Island. Turn key furnished so you can move right in. Please, send me more information on this property: MLS# A4431794 – $389,000 – 6500 Flotilla Dr #195, Holmes Beach, FL 34217. I would like to schedule a showing appointment for this property: MLS# A4431794 – $389,000 – 6500 Flotilla Dr #195, Holmes Beach, FL 34217.